There’s nothing quite like Old Fashioned Easy Strawberry Shortcake made with sweet, juicy fresh-picked strawberries. 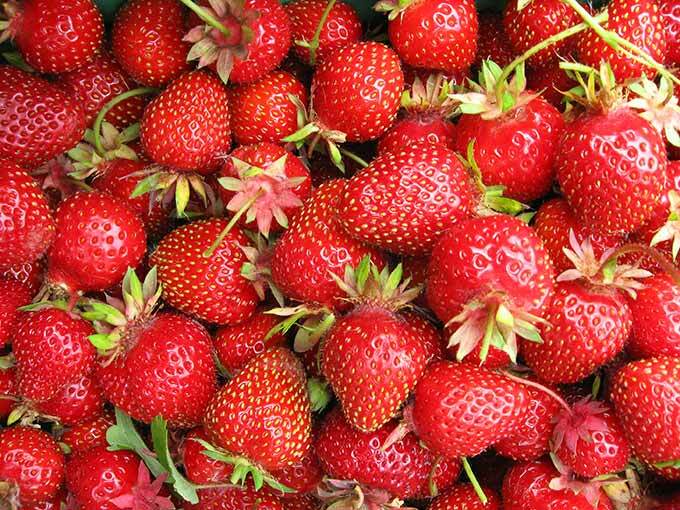 If strawberries are in season where you are, it’s time to grab your basket and get picking! Homemade strawberry shortcake is simple. Like Grandma made. Dripping spoonfuls of juicy strawberries and dollops of freshly whipped cream top warm, homemade buttered biscuits. First, slice strawberries and add some granulated sugar. You’ll need more or less sugar depending on how sweet and ripe the berries are. Allow the berries to macerate for an hour or so with the sugar. This draws out that wonderfully sweet strawberry juice. While the berries macerate, bake a pan of homemade biscuits. Add a few tablespoons of sugar to your traditional biscuit recipe. Or use my recipe below. Right before baking, brush biscuit tops with milk and sprinkle with crunchy sparkling white sugar or turbinado sugar. After baking and while biscuits are still warm from the oven, slice ’em in half, place a pat of butter inside to melt. While that butter pat melts, whip the whipping cream, powdered sugar and vanilla together until stiff peaks form. Assemble individual strawberry shortcakes by topping the bottom biscuit half with spoonfuls of fresh strawberries, juice and whipped cream. Add biscuit top, more berries and a dollop of whipped cream. Yum! I won’t say that we haven’t enjoyed strawberry shortcakefor dinner around here. And on more than one occasion too. Let’s see, strawberries = veggie/fruit. Whipped cream = dairy. Biscuit = grains. We’re good! This Old Fashioned Easy Strawberry Shortcake is a fresh and simple strawberry dessert, perfect on the patio in summertime. You’ll have some extra biscuits, lucky you! Perfect for breakfast smothered with jam or honey. Wash the berries right before using, they will quickly mold in the refrigerator when wet. Let the sliced berries macerate with sugar for about an hour. Use your favorite biscuit recipe and add a couple tablespoons of sugar to the recipe for great strawberry shortcake biscuits. Or use my biscuit recipe here. 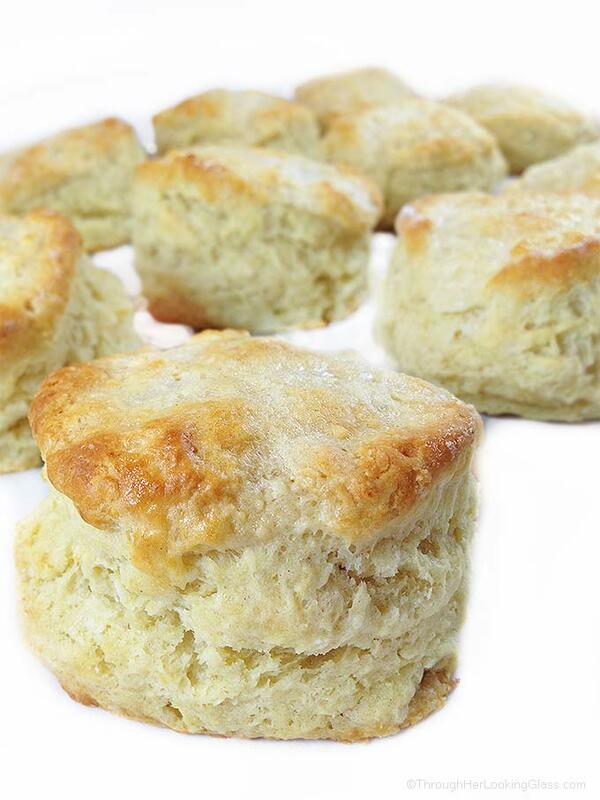 Leftover biscuits are great for breakfast the next day. Dripping spoonfuls of juicy strawberries atop warm, homemade buttered biscuits with big dollops of freshly whipped cream. 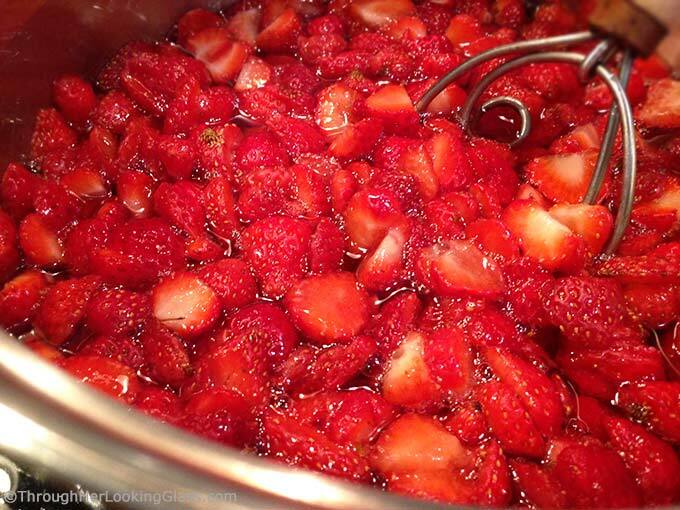 Gently combine sliced strawberries in bowl with 1/2 cup granulated sugar. Let sit for an hour or so to draw out the juices. Mix and sift flour, Bakewell Cream, baking soda, 2 tablespoons sugar and salt. Add shortening and mix together with pastry blender. Add milk all at once, and stir quickly with a fork. Turn out on a floured board and knead 5 or 6 times. Roll or pat dough to 1/2 inch or 3/4 inch thickness. 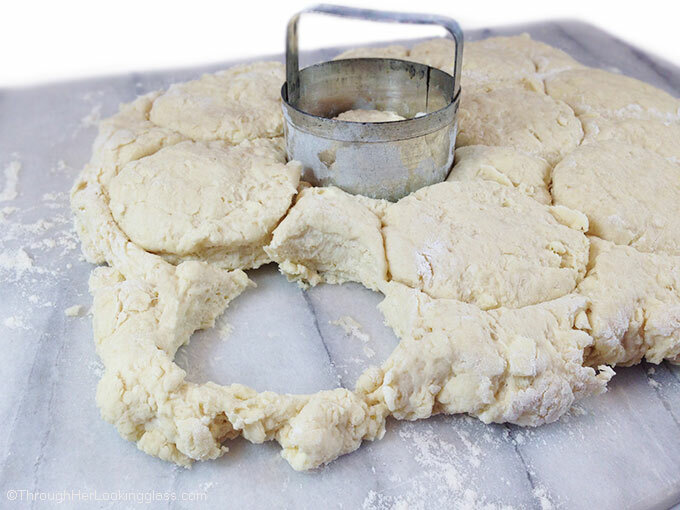 Cut 8-10 biscuits with biscuit cutter. Brush with milk and sprinkle with crunchy sparkling white sugar or turbinado sugar. Bake at 475 degrees for 5 minutes. Turn off heat and leave in oven for 5 - 10 minutes until golden brown. Split each biscuit in half and place a pat of butter in the middle. Whip cream, powdered sugar and vanilla until stiff peaks form. 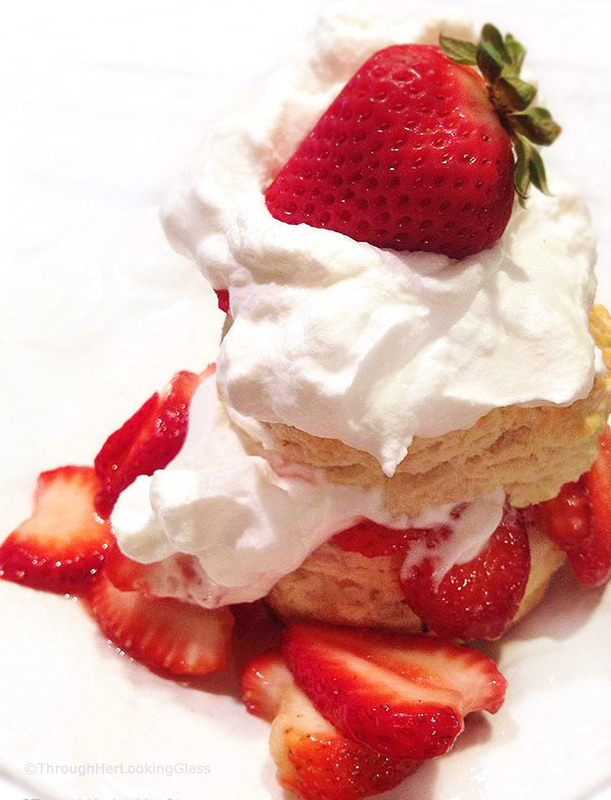 Assemble strawberry shortcakes by layering berries and whipped cream inside and on top of the biscuit. This looks amazing! I haven't made strawberry shortcake in ages, but I need to try this ASAP! 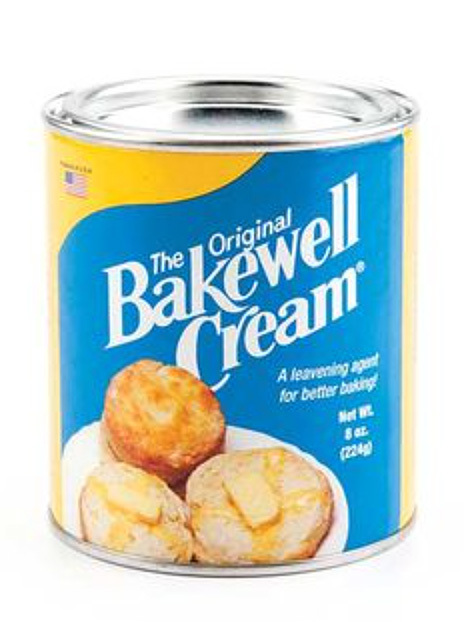 Allie - I'm glad that I'm not the only one who uses Bakewell Cream. Whenever we go to Maine, which is usually at least four times a year, we pick up a few cans of this stuff! This shortcake is wonderful. I can't wait until strawberries are in season. Our local pick-your-own farm says that berries should be ready by the first weekend in June. It's so close! Erin - yay! another New England baker who uses Bakewell Cream. Can't wait 'til our strawberries are in either. I bet ours will be about week behind yours in CT.
Do you deliver? I'll take one, or two, or three! I'm with Susan...delivery, please! :) I'm glad you posted this, because the strawberry shortcakes I've had with biscuits were on the dry side, so I need to try this one! 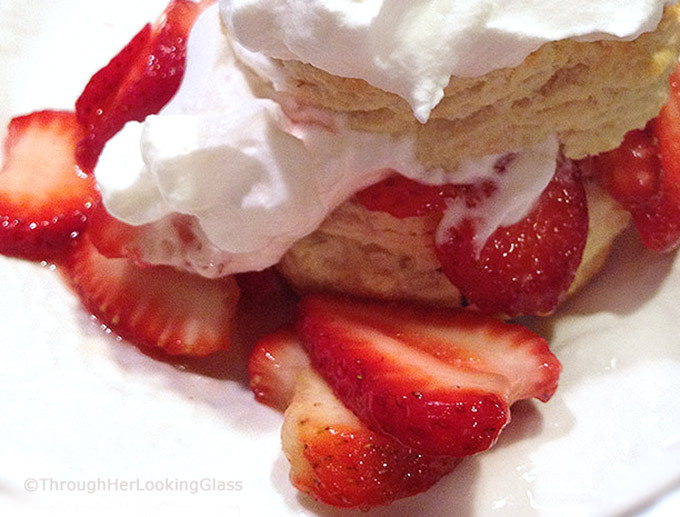 I make my strawberry shortcake with biscuits too - it's so good! A great summertime dessert. Strawberry short cake reminds me of my great grandmother! Allie I am so glad you told us how to prevent a dry strawberry short cake. Really, I always thought I just never had enough juice for it! Perfect! Love your pics!!! Mmmm, a summertime favorite! Tucking this recipe away to enjoy at some point in the (very near) future! Thank you for sharing! Allie, this is by far my all time favorite dessert. I never tire of it. Thanks for this yummy recipe. ICE CREAM, Marye. We will definitely have to try it with ice cream. Sounds fabulous!!! This is what memories are made of! YUM! 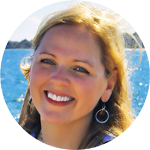 Julie - true confession is good for the soul!!! Ha ha ha. Looks absolutely fabulous! Where do you get the Bakewell product? Your pictures are absolutely wonderful! We have lovely strawberries -now just need to make the biscuits! Yummmm! I hadn't heard of Bakewell cream, but now I'm totally intrigued! 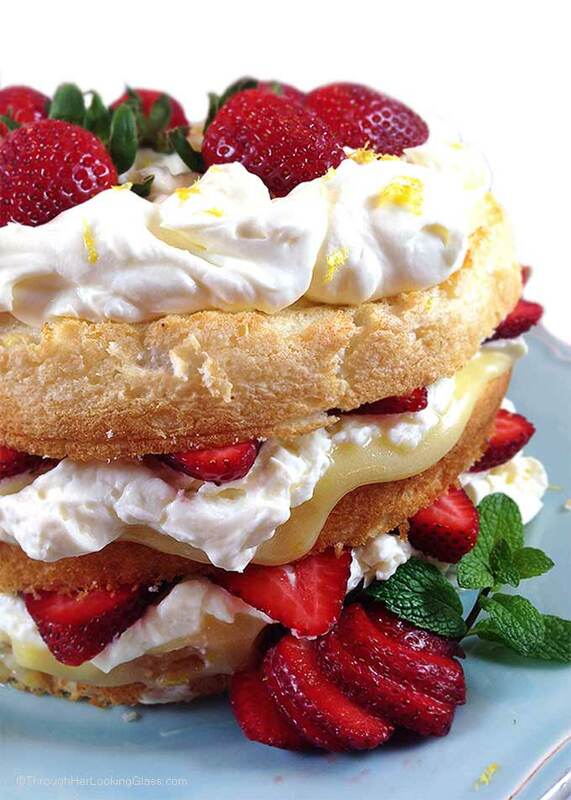 This shortcake looks absolutely divine! I have a lifelong love affair with strawberry shortcake. Something I look forward to every summer. Thanks for the tip about Bakewell Cream. Strawberry Shortcake is one of my most favorite things! Your sounds particularly yummy! This looks so delicious! I love the extra mile you go when cooking/baking. Allie, you have officially made me hungry at 8 p.m. YUM! This looks fantastic! A wonderful dessert. I've made strawberry shortcake two weeks ago and was planning to post the recipe this weekend. Such a simple and delicious cake, I can't believe it took me so long to finally make it. Just look at those perfect biscuits! I wonder if I can find Bakewell Cream around here---I'm going to look! Your shortcakes look fabulous! Love strawberry shortcake. Adding sugar to the top of the biscuits is a great idea! Quel beau et gourmand dessert tu nous propose Allie,j'aime beaucoup, bisous, belle journée! Hey great Kris - so glad you enjoyed. That's a great and delicious idea to do with your grand kids. They must have loved it. So glad it was a hit, and many thanks for dropping by!